ANRI Instruments & Controls has added a new portable line of fluorometers to its range of precision research and analytical equipment. OS5p portable pulse modulated chlorophyll fluorometers, designed for the detailed analysis of plant stress are available from ADC BioScientific, world leaders in the design and manufacture of instrumentation for environmental research. 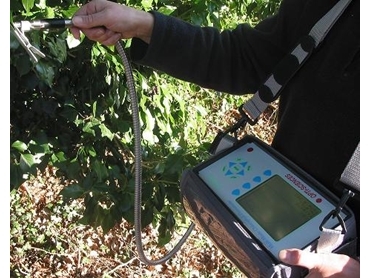 The OS5p chlorophyll fluorometers are specifically designed to analyse and research plants in the field under environmental stress factors such as temperature, pollution, water and nutrient deficiencies.